Scotch eggs for the win! When out-of-town friends come to visit during the summer, they always want me to feed them the good stuff. They want the gimmicky food, the exotic food, the over-the-top food, the better-than-what-they-have-at-home food. 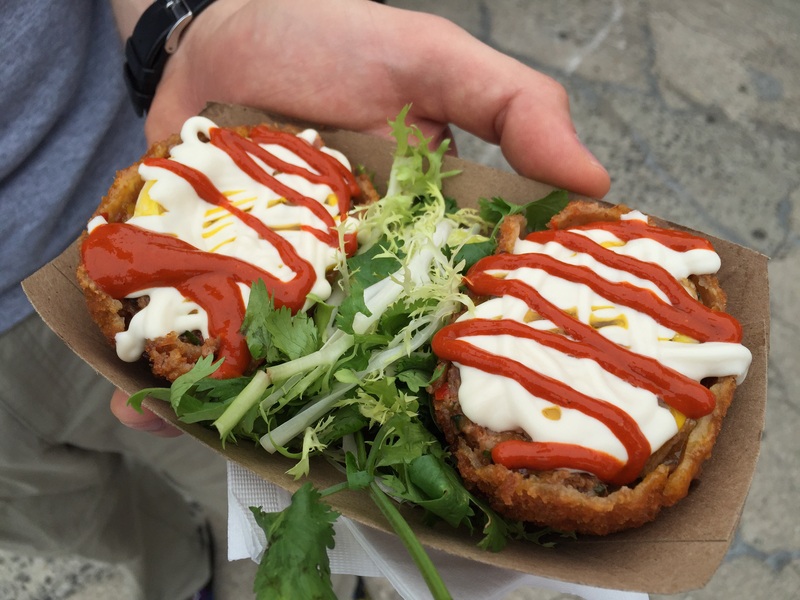 For all that and more, I always go to Smorgasburg, Brooklyn’s gluttonous weekend food fest. 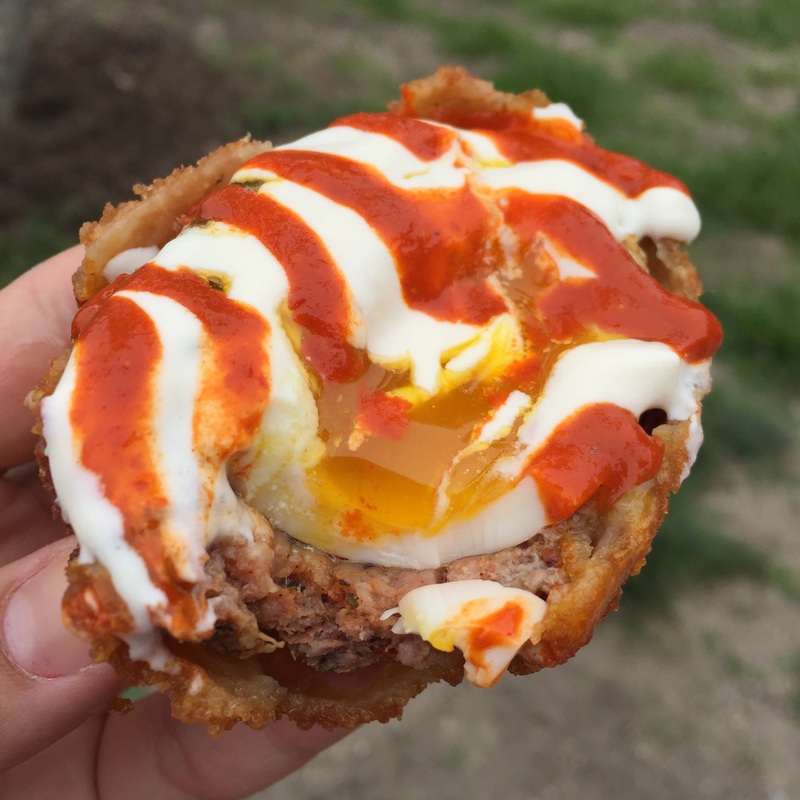 Most recently, when I took a friend visiting me from Iowa, we tried a few dishes from different vendors, but both agreed the best thing we had all day, possibly all weekend, was a scotch egg from The Imperial Egg. Scotch eggs, in case you didn’t know, are boiled eggs, coated in sausage, breaded and deep fried. (Take a moment to let that sink in. Ok, you good? Let’s move on.) The Imperial Egg puts their own spin on scotch eggs by coating the actual eggs in different types of sausage, like the one we got, Moroccan spiced lamb with a drizzle of yogurt sauce. To make everything more delicious, the egg’s center was just undercooked enough that when it was poked with a fork, the thick, orangey yolk oozed out over the rest of it, making it a messy as hell affair to eat, but so very freakin’ worth it. The spiced lamb gave a rich, spicey meatiness to the egg’s smooth, yolkey inside, and the creamy yogurt sauce, combined with a bright, fiery hot sauce, added a nice heat and tang to round everything out. If you ask me, Imperial Egg’s scotch egg would probably be enough to make me consider moving to New York, if I wasn’t already fortunate enough to live here.